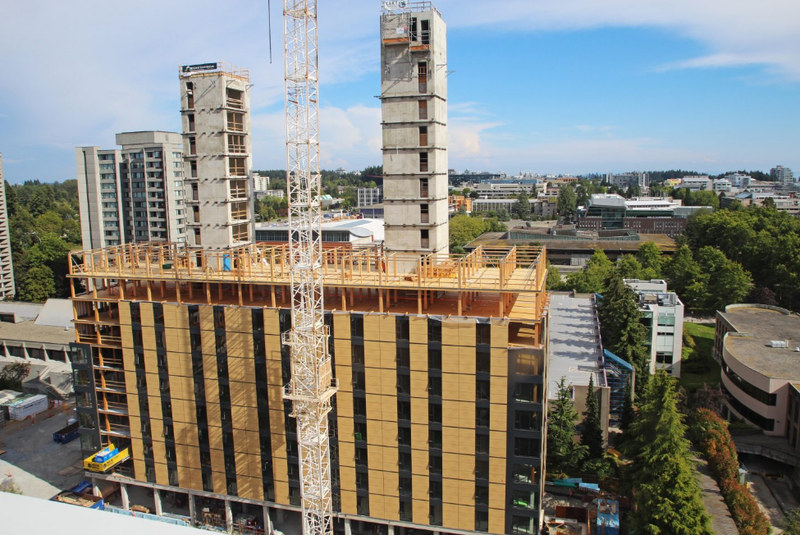 Back in June, we wrote about construction beginning on University of British Columbia’s new timber dormitory. Pictures of the construction process have just been made available and the frame is quickly taking shape. Canadian Architect reports that a new floor is being built every 3 days and is expected to increase. 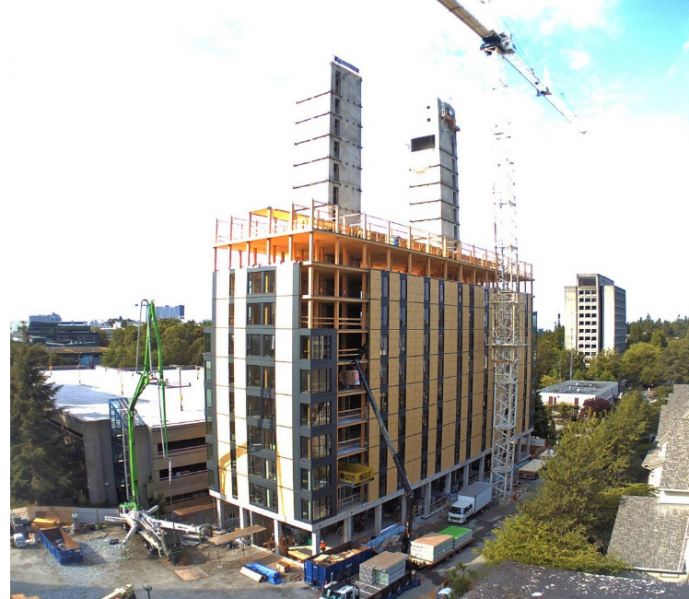 The dormitory is made out of a combination of glue laminated timber (glulam) and cross laminated timber (CLT). The building is scheduled to be complete by Spring 2017. Mass Timber Mills Coming to Maine — but where and when?